*Prices are valid for flights ex Sydney, Melbourne & Brisbane. Add $145 per person ex Adelaide & Perth. The 62-storey Shangri-La tower contains the 5-star hotel and its offices on the first 15 floors. A restaurant concept created by Michelin starred chefs offers unparalleled dining experiences, with seasonal menus that showcase the best ingredients from coast to coast. The Vancouver waterfront is 3 blocks away, and a range of outdoor activities can be organised, or guests can explore a world of relaxation at CHI, The Spa. 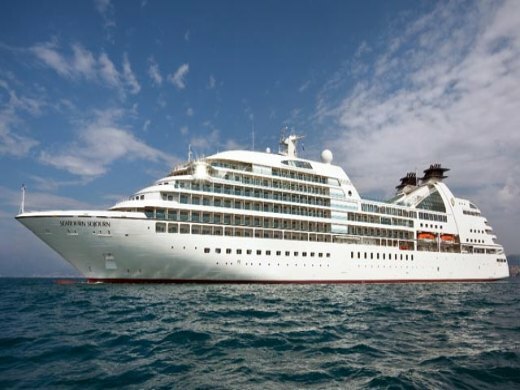 The second of Seabourn’s new class of ships, Seabourn Sojourn, was also built at T. Mariotti yard in Genoa. Her debut was on June 6, 2010 in the middle of the River Thames in London. One of the most unusual features of Seabourn Sojourn and her sisters is Seabourn Square, an ingenious “living room” that replaces the traditional cruise ship lobby with a welcoming lounge filled with easy chairs, sofas and cocktail tables. An enclave in its center houses knowledgeable concierges discreetly seated at individual desks, ready to handle all sorts of business or give advice and information. The ship’s shops are conveniently located just off the Square and it has its own open terrace aft.